Mimikatz is playing a vital role in every internal penetration test or red team engagement mainly for its capability to extract passwords from memory in clear-text. It is also known that adversaries are using Mimikatz heavily in their operations. Even though that Microsoft introduced a security patch which can be applied even in older operating systems such as Windows 2008 Server still Mimikatz is effective and in a lot of cases it can lead to lateral movement and domain escalation. It should be noted that Mimikatz can only dump credentials and password hashes if it is executed from the context of a privilege user like local administrator. 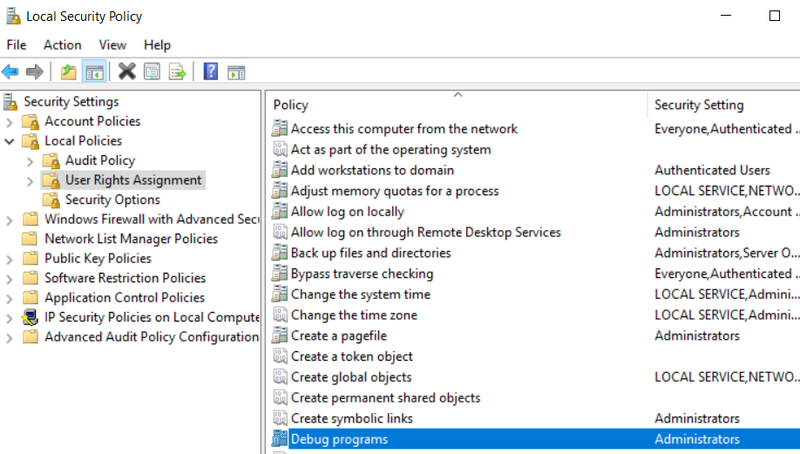 The debug privilege according to Microsoft determines which users can attach a debugger to any process or to the kernel. By default this privilege is given to Local Administrators. However it is highly unlikely that a Local Administrator will need this privilege unless he is a system programmer. In a default installation of Windows Server 2016 the group policy is not defined which means that only Local Administrators have this permission. Mimikatz requires this privilege as it interacts with processes such as LSASS. It is therefore important to set this privilege only to the specific group of people that will need this permission and remove it from the Local Administrators. 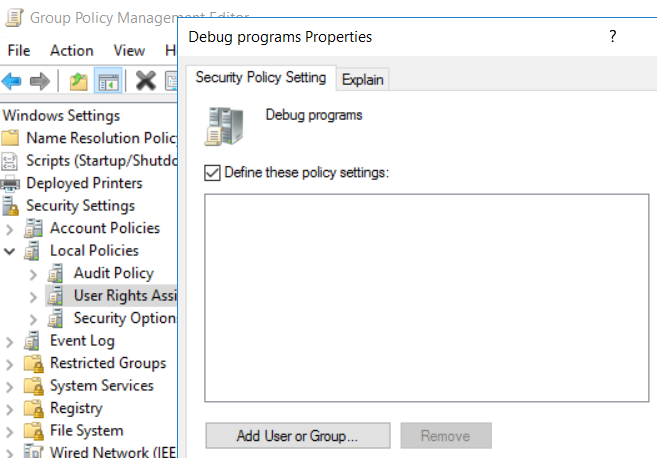 The SeDebugPrivilege can be disabled by defining the policy to contain no users or groups. Microsoft in Windows 8.1, Windows 10, Windows Server 2012 R2 and Windows Server 2016 has disabled this protocol by default. However if your organisation is using older operating systems such as Windows 7 and Windows Server 2008 etc. Microsoft has released a patch (KB2871997) which allows administrators to enable or disable the WDigest protocol. After applying the patch it is recommended to validate that the WDigest is disabled from the registry. The Negotiate and UseLogonCredential registry keys values should be set to 0 to completely disable this protocol. It should be noted that in newer operating systems (Windows Server 2016, Windows 10 etc.) the UseLogonCredential registry key doesn’t exist. 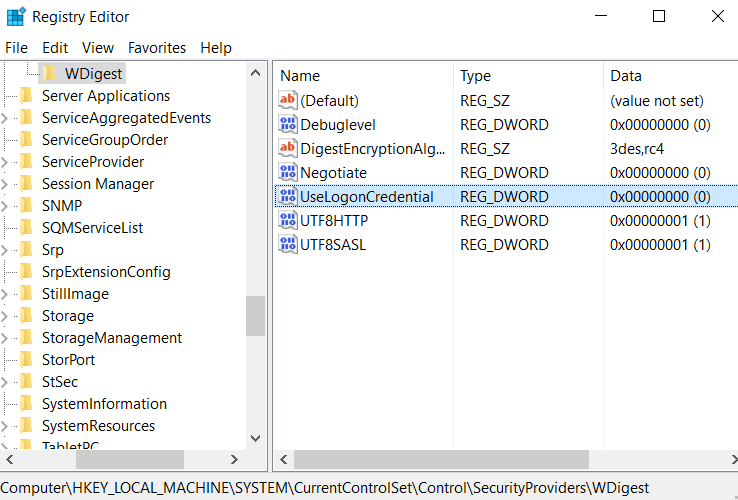 Of course an attacker with Local Administrator privileges can modify the registry to enable WDigest and grab credentials as it has been explained greatly by Dave Kennedy in his blog. Therefore if these values are set to 1 after disabling this protocol then this is an indication of an attack. Registry modification should be constantly monitoring to get the alert at an early stage and catch the threat. The Local Security Authority Server Service (LSASS) validates users for local and remote sign-ins and enforces local security policies. Microsoft in Windows 8.1 and later has provided additional protection for the LSA to prevent untrusted processes from being able to read its memory or to inject code. Attackers were able to execute the following Mimikatz command in order to interact with the LSA and retrieve clear-text passwords that were stored in the memory of the LSA. It is advised that systems prior to Windows Server 2012 R2 and Windows 8.1 should enable the LSA protection to prevent Mimikatz from accessing a specific memory location of the LSASS process. This protection can be enabled by creating the registry key RunAsPPL and setting the value 1 in the following registry location. Microsoft has introduced in Windows Server 2012 R2 an additional security feature which can prevent plain-text credentials of Local Administrators to be stored in LSASS during an RDP session. Even though LSA protection can prevent Mimikatz from retrieving the credentials it is advised to use this feature as an additional layer of security in case an attacker disables the LSA protection. 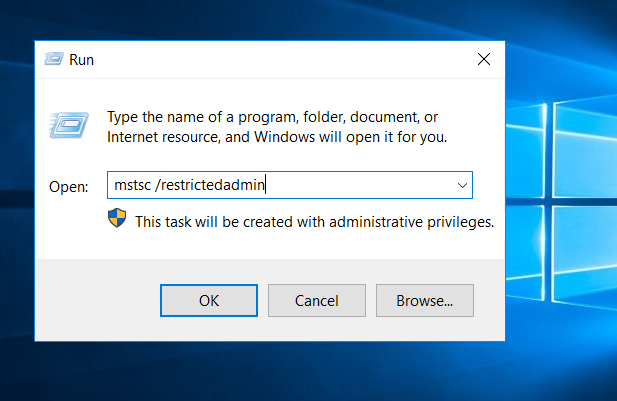 The “DisableRestrictedAdmin” registry key should be created in the following location with the value 0 in the systems in the network that will be allowed to receive RDP sessions in restricted admin mode. 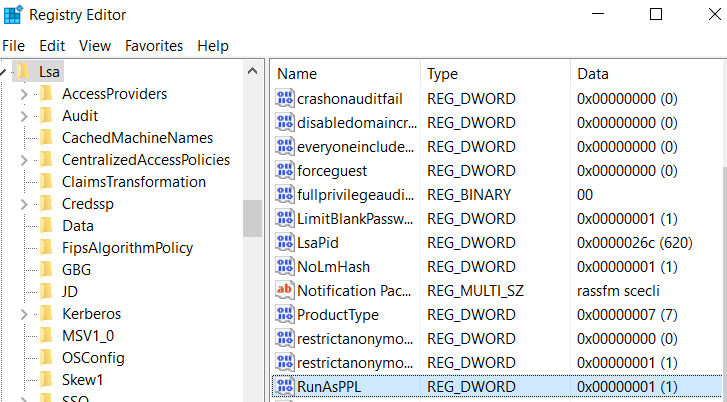 Furthermore, the “DisableRestrictedAdminOutboundCreds” registry key should be created with the value 1 to disallow network authentication from inside the system that the admin has performed the RDP. Absence of this key it means that Admin outbound credentials are enabled. 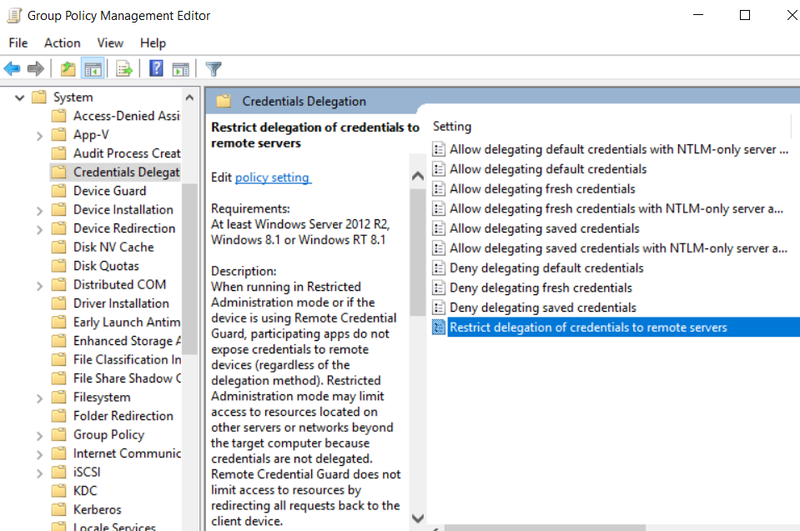 The “Restrict delegation of credentials to remote servers” policy needs to be enforced across the domain to ensure all outbound RDP sessions are using the “RestrictedAdmin” mode and therefore credentials are not leaked. 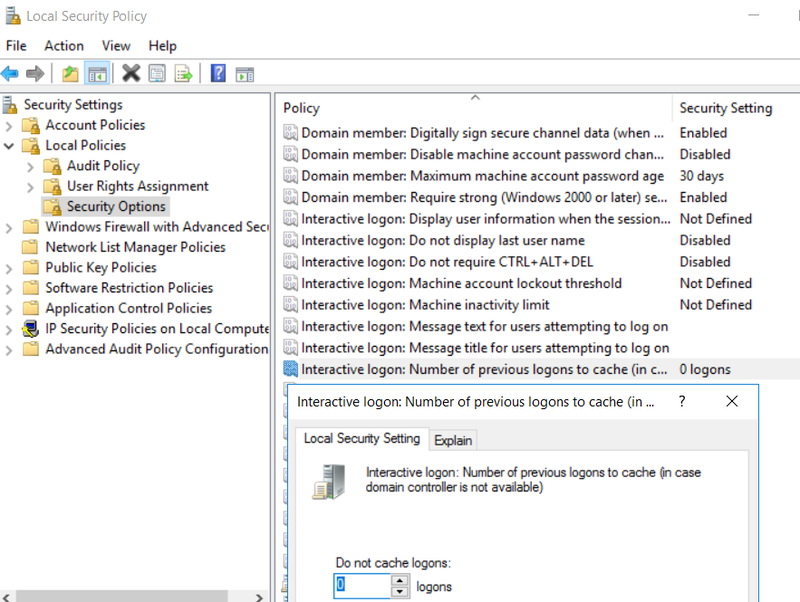 The policy needs to be enabled with the “Require Restricted Admin” setting. 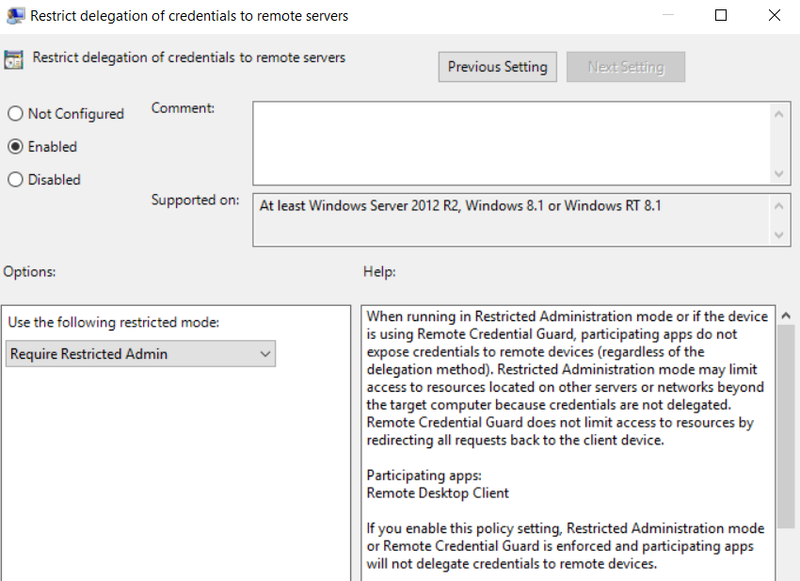 Once this policy is enforced, Administrators can RDP remotely to workstations and servers that have the required registry key with the following switch from windows run. Or executing it directly from a command prompt. For older operating systems prior to Windows 2012 R2 and Windows 8.1 this option is part of KB2871997 Microsoft patch. By default Windows are caching the last 10 password hashes. It is recommended to prevent local caching of password by changing the following security setting to 0. Microsoft in Windows Server 2012 and later has introduced a new security group which is called “Protected Users”. This group enables domain administrators to protect privilege users like Local Administrators as any account that is part of this group can authenticate with the domain only via Kerberos. This would assist to prevent leakage of NTLM password hashes or plain-text credentials in the LSASS for sensitive accounts that typically attackers would aim. 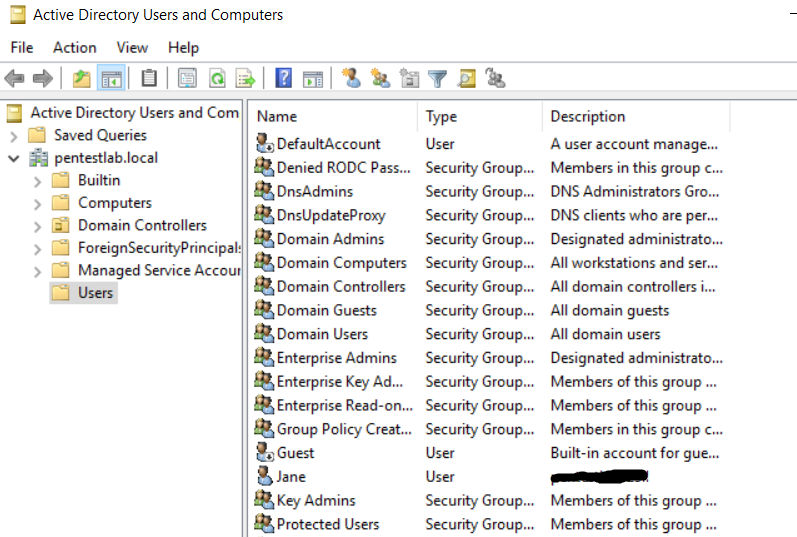 The “Protected Users” security group can be found in the Active Directory Users and Computers. Older operating systems like Windows Server 2008 can still have this security group by applying the patch KB2871997 from Microsoft. Adding another layer of security by using an effective endpoint solution combined with Application Whitelisting like AppLocker to prevent portable executables, PowerShell and command prompt from execution it is also recommended. Even if a cyber attacker has achieved to bypass these controls, perform registry modifications (certain registry keys should be monitored by the blue team) in order to fully utilize Mimikatz for credential dumping a number of events will be generated during this process which can assist to detect the attack.